This week the tour had fewer homes than we usually get during the spring and summer, but the homes had a wide range of pricing. As would be expected the most expensive homes were in Orinda and Lafayette … with one exception and that was the listing at 866 Navaronne Way in Concord, off Treat Blvd. this home is priced at $1,575,000 and includes 7 bedrooms ( including the office), 5.5 baths and almost 4500 sf. This home was originally built in the 80’s but has been expanded into the luxury home it is today. Check out the link and see for yourself. Over at 3090 Sweetbrier Circle in Burton Valley, Lafayette is a totally remodeled 3 bedroom single story. Priced at $1,395,000. This home is just back on the market and offers a truly turnkey opportunity. While not a large home the remodel has made the living spaces feel like a much larger home. The location is fabulous in the heart of Burton Valley, within just a few blocks of Burton Valley Elementary School and yet it is not on a through street ( a rare commodity in Burton Valley. This one is a must see if you don’t have to have a huge home. Click here or the address link and call me if you’d like a private showing. Going against the averages the homes in Walnut Creek this week were all reasonably priced. The most expensive ones were in fact Downtown Condos, walking distance to the Regional Center for the Arts, downtown restaurants and shopping as well as several of the large office buildings. These condos are located at 1874 Bonanza and the 5 remaining units are priced between $974,000 and $1,330,000 with up to 1635 sf. Most have views of downtown and some even have views of Mt Diablo. You may be surprised at this but 10 of the 15 units in the complex are either pending or sold. There are now several condo developments within the downtown area that have units with sales prices above $1,500,000 and approaching $2,000,000. This is not your small suburban hideaway anymore. Check these out to see if this is a life-style that might work for you. If so, let’s have a conversation, because there are a lot of choices with a broad range of styles, prices and communities. 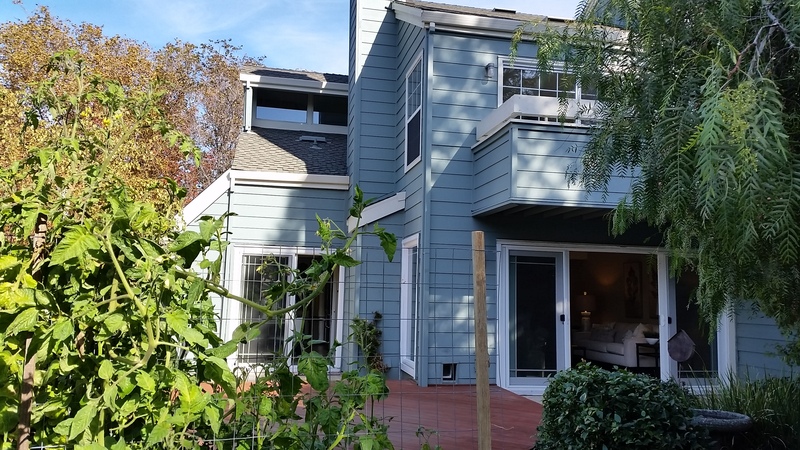 And if you are thinking low upkeep, but can’t swallow the idea of urban condo living just yet, then there are 5 townhouses that just came on the market mostly in Northgate. All have merit and each is unique. 627 Francisco Ct is over in Bancroft Village and is prices at $669,000. it is a single story, end unit adjoining open space. It has not been updated but has a great floor plan and a nice outdoor private space. Over in The Village of Walnut Creek is a beautifully updated 2 bedroom, 2.5 bath two story townhouse, also an end unit, with a huge driveway, and two car garage. 1871 Stratton Circle is light and bright and would simply put a smile on your face when you woke up in the morning… and if you a tennis buff, the courts are less than 50 yards away. 1561 Pyrenees Pl is in Heather Farms off Marchbanks Drive, so a bit closer to downtown. This is a large (2170 sf) 3 bedroom, 2.5 bath unit with an attached 2 car garage. The home has been completely updated with gorgeous floors, wide open spaces and some great views, especially from the Master bedroom. At 855 Tampico Dr on the South side of Ygnacio Valley Rd, within walking distance to John Muir Hospital this home is priced at $749,000. It’s a 2 story townhouse with 3 bedrooms, 2.5 baths and a 2 car garage. This place has been totally tricked out and opened up with an amazing kitchen. This is not your Grandma’s house … unless Grandma is VERY hip. This would be a great place to have friends over and know whoever is in the kitchen will be in the center of the action. Back off Civic / Oak is the 2 bedroom / 2 bath townhouse at 233 Charter Oak Circle. This unit is priced at $630,000 and is the most conveniently located of the units that aren’t right in downtown. It is within a reasonable walk to the Pleasant Hill BART and also has reasonable access to downtown and the freeway. Check all of these units out and let me know if you have questions about them or would like me to arrange a tour of any or all of them. I do expect that at least a few of them will go very quickly. My final stop on tour today was the delightful single family detached home over at 3164 Hudson off of Putnam. This single story home has 4 bedrooms and 2 baths with close to 2000 sf on an 8,000 sf level lot on a tree lined street… there is even a rope swing in the front yard. It has a very large backyard with a trellised covered deck off the dining room, a large lawn area and an oversized patio with plenty of room for wonderful outdoor gatherings. 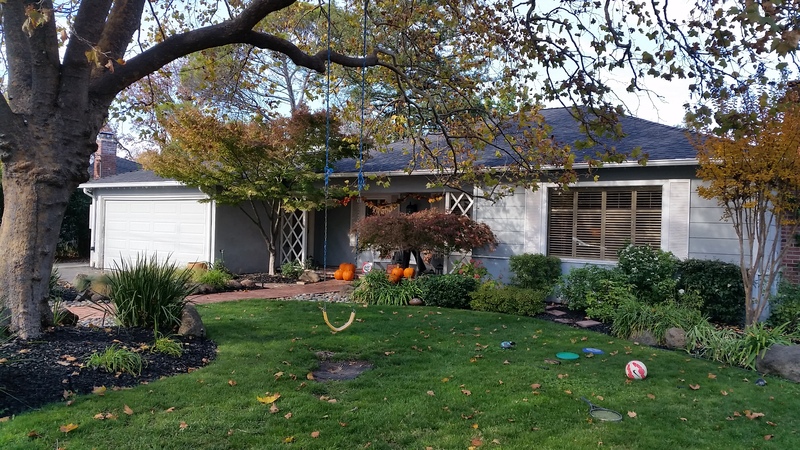 This home is priced at $939,000 but is one of the lowest priced 4 bedroom homes in Walnut Creek. Click through any of the links for home details, photos, pricing, payment info, and more. Or just contact me and we can have a conversation. This adorable home is move-in ready (but is not a flip) with new carpeting throughout and new paint on the exterior and the entire interior as well. Enjoy fresh front landscaping with automatic sprinklers and the huge backyard that has room for almost anything you can think of. Walnut Creek is literally across the street and provides great proximity to Taylor Blvd and 680. You can even walk to Lunardi's. Adorable 1st level one bedroom, one bath condo in a gorgeous 4plex just off Claremont Ave in coveted Claremont/Elmwood district. Light and bright large living room with built-in bookcases, wood burning fireplace, eat-in kitchen opens to deck, refurbished hardwood floors throughout..
Popular California Skyline Tri-level features high ceilings in Livingroom, dining room, eat-in kitchen, and Master suite all situated on the upper floor with tons of windows. The lower level includes a large game room, 3 bedrooms and full bath (a perfect kids wing or in-law setup). Both levels open to decks in the backyard … with lots of privacy. The home is ready to move in, though a few projects remain so it is priced accordingly. HURRY, THIS ONE WON’T LAST… priced $36,000 below last sale, which was 250 sf smaller.